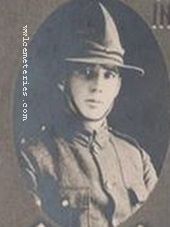 S/16922 Lance Corporal William Innes, 5th Bn. 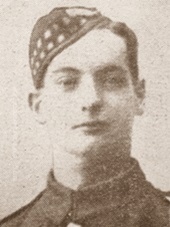 Queen's Own Cameron Highlanders, 25/04/1918, aged 19. "Never forgotten"
Remembered with honour by great nephew, John Green. 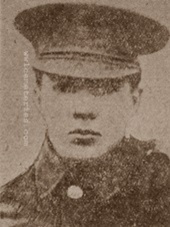 9th October 1917, aged 22. Panel 54 to 60 and 163A. 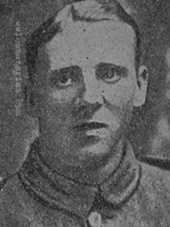 Son of Mrs. M. A. Isherwood, of 9, Pollard St., Burnley, Lancashire. Panel 77 to 79 and 163A. Lived at 23 Sackville Street, Burnley, Lancashire. 1st Bn. Otago Regiment, N.Z.E.F. Son of Mr. and Mrs. G. P. Johnston, of Comley Bank, Gore, Southland, Invercargill. 25th September 1917, aged 36. Panel 31 to 34 and 162 and 162A and 163A. Thomas was born on the 14th March 1881. Father of Thomas Johnson, Edward James, Ellen and Lillian Jolly of Monastery Road, Liverpool. Son of William Jolly and Elizabeth Calderbank of Chorley. Remembered by his Grandson Ian Jolly. 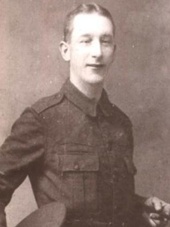 20th September 1917, aged 20. Son of Mrs. and the late Mr. H. C. Jordan, of 13, Pendennis St., Anfield, Liverpool.